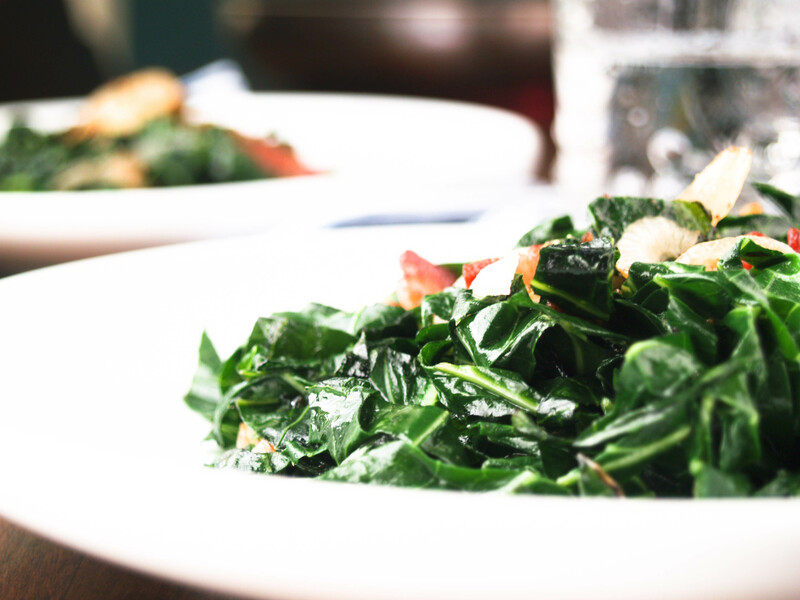 Collard, turnip and mustard greens are the traditional “greens” of the South. 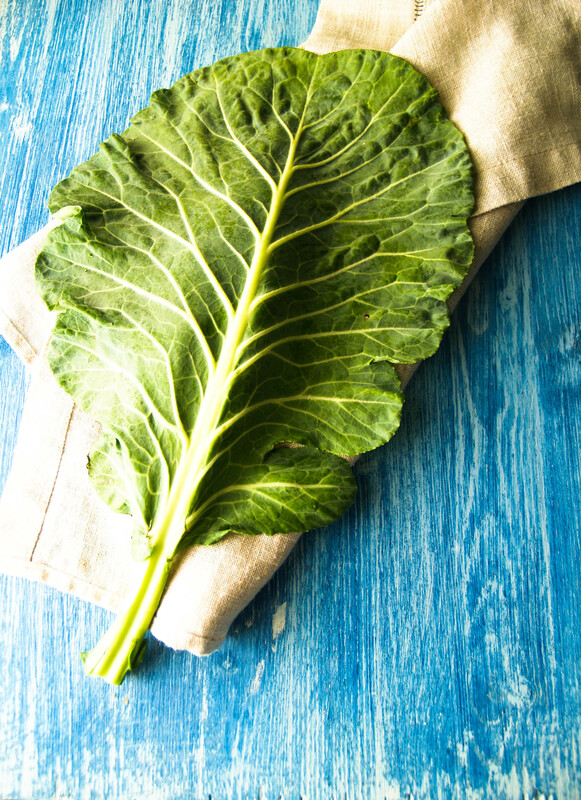 Most Southerners have learned to love the powerful scent of collards simmering in a pot on a cold (or warm) winter day. As a child, I remember the hum of greens heavy in the air as I reached the screen door of my house. I happily obliged to take my homework outside, as I swore the odor of the color green would distract me from my studies. My mother’s little trick was to keep a mug of vinegar next to the stove as she cooked down the greens. The vinegar was supposed to absorb the horrifying aroma. I am convinced that greens have aromatic superpowers that cut through walls. As I grew older, I learned that greens are bitter sweet (no pun intended). You must champion through the smell to lavish on the silky texture of greens. These little leaves of leisure have been in a bubbling hot tub with onions, garlic and pork. With the lid closed for privacy, the Dance of the Greens forced everyone to get acquainted. The end results made me momentarily forget the smell of the color green. Prepare a pot of boiling, salted water. Also prepare an ice bath and salt as well. Roll greens up and julienne into ½ inch strips. Boil greens for about 2 minutes; you want them to retain their vibrant green color. Toss the greens into an ice bath and squeeze all of the excess water out. In a sauté pan, heat oil on medium heat and add bacon until all of the fat is rendered out. Add the onions and cook until translucent. Add garlic and red pepper flakes to the pan. After 2 or 3 minutes add the greens to the pan. Sauté for 5 minutes longer. Take off heat and serve. Lovely! Can just taste it in ma mouth already!! My friend, Isis, says she loves all of your food! And I do too! Well done! These are so delicious!!! We will have this tonight….. I love being from the South. I know this may sound weird,but give it a try! On any greens you cook,grate a little fresh Nutmeg in while cooking. Really brings out the flavor. Happy Cooking!